When we say all vehicle types, we really mean it. Ford and Hyundai owners have received full service and repairs to industry leading standards wherever the work needed to be done, when they needed us to be there. Happy clients in Northern Suburbs Sydney who have already experienced the ease and convenience of on site vehicle repair and service work have given us over 24 positive reviews. These are just some of the reasons why we have maintained our excellent service history and kept our customers. Receive a high quality service on your vehicle at the time and place that suits you with on of the 36 Lubemobile mechanics in Northern Suburbs Sydney. Janus was very competent. He was able to perform the work required in a timely manner. He offered useful suggestions to improve car maintenance. The very definition of a mobile mechanic is a vehicle specialist who can do what you need, where you need it done. 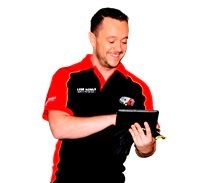 Our mechanics complete full car services at your preferred location with recent jobs completed on Toyota, Mazda and Holden. Our professional mechanics are experienced and equipped for all vehicle types serviced on location. Have it all taken care of at the best place for you, not your mechanic. Great Wall, Jaguar and Toyota are all attended to on the spot. battery replacement, radiator and starter fuse were with the mechanic when they needed them and quickly replaced or repaired on location. Have your vehicle repaired on serviced in Roseville with the least fuss and hassle. You don’t even have to leave the house if you don’t want to. We will come to your chosen location when you want us to be there and take care of everything on the spot. 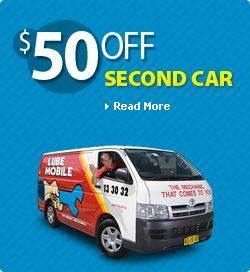 Lubemobile mechanics are Australia’s #1 mobile mechanic fleet servicing vehicles in all locations including Turramurra, Chatswood and Rydalmere. When your car needs to be worked on, book the mechanic who will get the job done on time, wherever you want them to carry out the work. Lubemobile mechanics have serviced over 582 vehicles in your area alone over the last 3 months, and while our most popular vehicle service in your area is typically Log book servicing, your mobile professional mechanic is able to complete a range of vehicles work including fixing and aligning axles , ball joint replacement. Our specialist tyre fleet will even carry out jobs like on site tyre replacement.